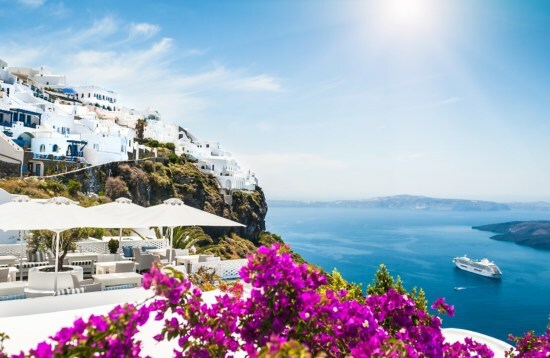 The largest of Greece’s Dodecanese islands, Rhodes lies just off the coast of Turkey within the azure blue waters where the Aegean and Mediterranean Seas meet. It is home to a UNESCO World Heritage-listed medieval old town, together with ancient ruins and picturesque beach resorts. Be sure to explore the maze of cobblestone streets that weave through the Old Town and visit the Palace of the Grand Masters. Set within a former fortress, it exhibits an impressive collection of ancient and medieval artefacts that detail the fascinating history of Rhodes. Stop in at the Byzantine Museum to admire its religious frescoes and artwork and discover the Jewish history of the island at the Kahal Shalom synagogue. Watch the yachts coming and going from one of the waterfront restaurants at Mandraki Harbour or go shopping for local handicrafts at the Sokratous markets. At the northern tip of Rhodes town lies Elli Beach, which is perfect for a swim, or you can soak in the therapeutic waters of the ancient springs at Kallithea, overlooking a stunning bay. Don’t miss the opportunity to explore the town of Lindos and its ancient cliff-top acropolis, with spectacular panoramas from the Temple of Athena. Stroll through the streets that are lined with 17th-century whitewashed buildings and stop in at the Agia Panagia church to admire its frescoes. 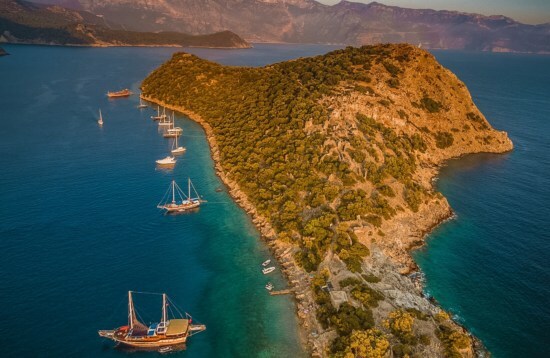 Gulet cruises depart from Rhodes to the small Greek island of Tilos, arriving at the main port of Livádhia and its ancient capital Mikró Chorió. Bones of now-extinct dwarf elephants were discovered here in the Kharkhadió Cave, together with Neolithic artefacts detailing ancient human habitation. Journey to the charismatic island of Symi where traditional stone houses cluster in its photogenic main town. Explore the historic churches of the Chorió village and discover the island’s sponge fishing history at the Naval Museum, then venture into the rugged interior. From Symi it’s just a short hop to the Turkish coastline and the town of Bozburun where gulet yachts are crafted in waterfront workshops. 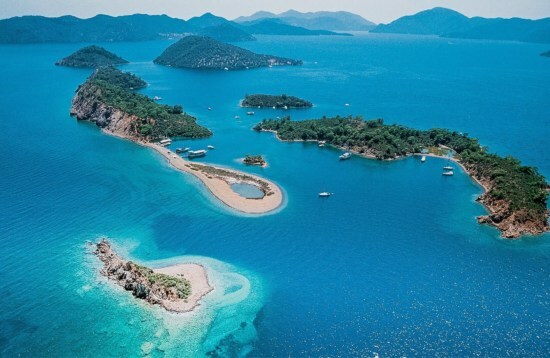 Although Bozburun is less than an hour from Marmaris, it feels a world away, with a laid-back, traditional atmosphere.